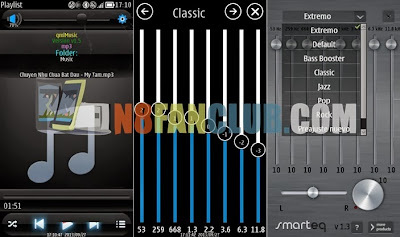 Music player that is based on phone’s music library and the player supports almost all audio formats natively. Playlists are stored in the full version of this music player. The equalizer is implemented to give you awesome sound experience. There’s also a music player widget. Compatible with Nokia N8 & other S^3 / Anna / Belle smartphones. This English translated version is unsigned.